New York, NY -- (SBWIRE) -- 07/30/2013 -- Joel Leyden, President of the Leyden Digital PR, Reputation Management and Social Media Group announced today the expansion of their professional digital services. "We were among the first to provide on-line digital PR, crisis communications, SEO and branding solutions since 1994," said Joel Leyden. "Leyden Communications was born on Madison Ave and evolved into a full service digital PR and social media group after we were approached to create the first commercial Website in Israel in 1994. Leyden Digital PR provides professional, global consultancy services to governments, commercial and non-profit organizations." Joel Leyden adds: "Our digital PR, integrated marketing and branding services have expanded to include every facet of public relations and public affairs on the Internet. In New York our NewYorkDigitalPr.comaddresses the Greater New York region with our extensive knowledge of both the demographics and industries. In Tel Aviv and Jerusalem, Israel our IsraelPr.com group has been operating for over 25 years helping the government to reach media markets and political leaders on every continent. IsraelPr.com has been extremely successful in creating both media and cross-cultural bridges for commercial and non-profit organizations in Tel Aviv, Jerusalem and Haifa. These industries include hi-tech, healthcare, tech, financial PR, food and beverage, tourism, fashion, defense and security." Joel Leyden continues: "Today we are transcending the New York and Israel markets as we are presently negotiating with PR and advertising agencies in Europe, Africa, the Caribbean and Asia. It's critically important to have partners in these regions who speak and understand the native culture. Our online reputation management services provide immediate online reputation management and crisis communications solutions which include controlling one's personal and commercial image on a variety of search engines including Google, BING and AOL." "Leyden Digital spends an equal amount of time working on Facebook, Twitter and Youtube to provide positive visibility for our clients," says Joel Leyden. "And we will go well beyond monitoring a company's name on Google, Facebook or Twitter if our clients are being slandered and or libeled." Joel Leyden states that his digital PR company recently contacted the FBI regarding an individual who was criminally harassing and actually hacking two of his international clients. "There are times when creating new Websites, news stories and blogs are not sufficient in addressing illegal activities on the Internet. I have also recently come under illegal on-line harassment. The FBI and INTERPOL are more than well equipped to address criminal activity on the Internet. They successfully defend nations from cyber warfare and individuals from being threatened and harassed," says Joel Leyden. Joel Leyden says that Leyden Digital PR has partnerships with attorneys in the US, Europe and Israel who specialize in cyber law and they are prepared to tackle any personal attack that may arise. "The demand for professional, online digital PR and reputation management solutions have come to the forefront in the wired world," says Joel Leyden. "Anyone can say anything about anybody in today's Google, Facebook and Twitter world. As such Leyden Digital PR is now investing private capital and seeking partnerships with other digital PR firms worldwide." Joel Leyden, who co-created the Israel Defense Forces cyber unit and consults both Israeli and US governmental organizations on messaging and branding online, is creating professional, private cyber PR task force units to address threats to governments, commercial, non-profit organizations and individuals. Joel Leyden's professional digital PR work has been featured in The New York Times, CNN, FOX News, The Washington Post, AP, Reuters, The Jerusalem Post, USA Today and TIME magazine. "It's a whole new world out there," says Joel Leyden. "Our weapons in protecting our clients used to be a press release and a fax machine. Today, we use professional branding and copywriting professionals who live and breath Facebook and Twitter. And if need be - a call to local law enforcement." Joel Leyden concludes: "When you integrate extensive, professional knowledge of the Web, of how Google and social media work along with the telephone numbers of your local police and FBI, you create a potent team which protects against harassment, cyber stalking, spam, scams, abusive threats and commercial, physical and emotional injury." 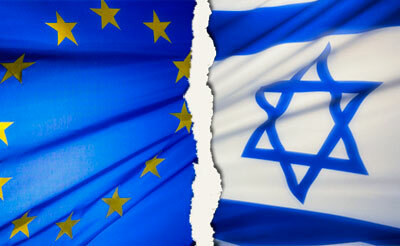 ev Elkin in wake of the intention to add conditions to contacts between the EU and the State of Israel in the future. Prime Minister Netanyahu said: "I would expect those who truly want peace and stability in the region would discuss this issue after solving more urgent regional problems such as the civil war in Syria or Iran's race to achieve nuclear weapons." As the Prime Minister of Israel, I will not allow the hundreds of thousands of Israelis who live in Judea and Samaria, on the Golan Heights and in Jerusalem, our united capital, to be harmed. We will not accept any outside dictate about our borders. This issue will be decided only in direct negotiations between the sides." One of the greatest challenges facing any international business today is being found on the Internet. The Internet has changed the fundamental means for how we conduct international business. It provides instant, real time answers to many of our daily commercial and personal questions. But now that you have a Website, can your site be found when one performs a search on Google, Yahoo, Bing, Live.com or AOL for your company's product or service? An international Internet marketing professional must wear many hats to succeed. The Internet SEO must be an experienced international marketing or PR person - one who understands how to penetrate and motivate a market outside of Israel without the Internet. They need to understand the basics of international marketing, branding, distribution and sales channels in order for them to integrate the digital world with the classic print, broadcast media and sales markets. The SEO must be an accomplished, creative and professional writer who can write for both the reader and the search engine. What then would be the real acid test for securing a professional SEO - search engine optimization Web promotion marketing company in Israel, New York, London, Paris or Beijing? If the Digital PR / SEO company you are talking to in Israel is not listed in the top ten, you must ask yourself one question: "How can they rank you, without the continued use of an expensive Google AdWords campaign, in a top ten position?" Never pay a maintenance fee. International Internet marketing SEO professionals are not servicing a car or cleaning a house. What you do want to invest in is more Web pages created by their Webmaster and more news stories and or news releases created by their PR firm to be placed on Google News. Lastly, if the SEO international Internet marketing company promises you a first place ranking, you will then know that they are bogus. No SEO or SEM can promise you something for which only Google, Yahoo, Bing, MSN and AOL control. They can promise you a higher ranking and depending on the link density of your industry maybe even a top ten position. Remember that the top ten search engine position that we are talking about would not be a paid Google AdWords sponsored link. It is your Web site, your Web pages standing on their own two feet that counts. Also having an optimized news story about your company's products and services in a top ten position would equal your Website being in a high SEO ranking. In fact, as long as the SEO news / public relations story is in a high position, it reinforces your credibility as it serves as third party endorsement. It is far more potent than your Website ranking, as long as the story has a link to your Website. Your first stop in hiring an international Internet marketing company in Israel is a Google search. Joel Leyden was one of Israel's first Internet pioneers, having co-created Israel's first commercial Website - NetKing - in 1995, the first Internet based news organization in Israel - Israel News Agency, the first Website for an Israel Prime Minister, first site for the Israel Defense Forces and hundreds of commercial, non-profit and governmental organizations. Leyden has worked for over 25 years in journalism, international marketing, public relations and advertising from New York and Israel. Leyden was Israel's first SEO and today provides lectures on international Internet marketing. A year ago or so we exposed the identity of the founder of the Jewish Internet Defense Force (Wikipedia article). David Brotsky, aged 37, lives in his parent's basement in Dallas, TX (and appears to have lots of ties to New York). He says that he is a film production and location manager by day. But from those we have spoken too confirm that he is actually a mental patient who has been arrested repeatly in both New York and Dallas. That he is under medication and spends all his days and nights on Facebook. At the present time he has been reported to the FBI for criminal harassment, fraud (the JIDF is not registered as a non-profit or with the IRS) and computer hacking. By night, he’s David Appletree, a rabid gut-toting, hate mongering sociopath. Lately, he’s gone ever farther over the top than normal, calling for the formation of Jewish militias in all of the world’s (!) major cities and imposing vigilante justice on his enemies whoever and wherever they may be. …a small group of organized JIDF supporters in each major city in the world could make people think twice. Those of you who believe in the rule of law may ask why the FBI isn’t giving this guy a home visit. Apparently, the G-men prefer cases in which the victim has lots of curves and is “very good friends” with important U.S. generals. Clearly advocating the creation of an armed militia and displaying weapons which presumably would be used to exterminate whatever anti-Israel trash has gotten Brotsky lathered up, would appear to be either a federal crime outright or one in the making. The question arises whether Brotsky is merely a certifiable lunatic looking for attention by whatever means he can find it; or whether he represents a clear and present danger to his opponents or American Jewish political discourse. I’m writing this post because while it’s possible the former is the case, there’s too much of a possibility that the latter is true to ignore him. One of Brotsky’s claims to fame (or infamy) is his “mastery” of the art of exploitation and manipulation of social media. He of course maintains JIDF Facebook and Twitter accounts, but he also appears to have created multiple sockpuppet accounts designed to support and echo his own views. David: My only regret is trusting people. This is one of the most untrustworthy people on the internet, who violates the trust and rules of social media giants like Twitter and Facebook. Yet he sees himself as the victim of the bad acts of others. Appletree’s Facebook (personal) page was removed because he was not using his real name, a violation of the company’s rules. Now, he’s created a Fan page for David Appletree, who is a figment of Brotsky’s imagination and a victim of his self-regard. The JIDF founder at one time (until they had a falling out) made common cause with other hasbara fraudsters. They each created hoax users and posted inflammatory anti-Israel comments in Facebook accounts and then pointed to those comments in attacking the groups to which they posted them. I’ll let you be the judge of whether Brotsky is a “high-quality source of information and trust” or is mentally challenged taking up too much of our productive time. He spends hours talking about "we" on the Facebook JIDF site when it is only he. By a rough estimate Brotsky has over 20 aliases on Facebook. And anyone who can bash those who have served in the Israel Defense Forces, the Israel Border Police and the most respected Jewish and Israeli organizations such as the ADL, Nefesh b'Nefesh, the Jewish Agency, World Zionist Organization and the Jewish Federations of North America deserves whatever comes their way.